This Halloween, guests will be invited deep into the woods for themselves – and will come face-to-face with the infamous Black House, unlocking horrific mysteries of the past, while encountering unspeakable horrors. Developed by Larry Bones and his team at Bone Yard Effects, INTO THE BLACK is an ambitious project made up of four components. 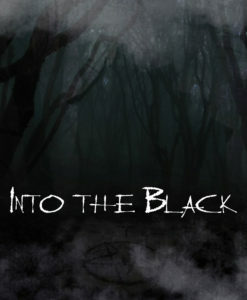 The first part of the experience is a short film (created in partnership with Hollow Studios) that introduces guests to the story of The Black House, following a group of paranormal researchers as they attempt to locate the infamous location deep in the woods and unearth any possible evils that Anton and Isabella were up to all those years ago. The second part of the experience is the actual haunted attraction itself, which will be open for 14 days this coming Halloween season at the Pomona Fairplex in Southern California, where guests will follow in the footsteps of less successful investigators seeking out the storied House of the Devil. The third part of the experience is a virtual reality (VR) terror trip back to the late 1800s, so you can witness first-hand the horrific crimes that Anton and Isabella Black committed against humanity in the name of the Dark Lord (also being created in conjunction with Hollow Studios). The final component of INTO THE BLACK will be a behind-the-scenes documentary featuring the making of the entire experience. One little thing that hasn’t been mentioned yet: when you visit INTO THE BLACK this Halloween at the Pomona Fairplex, you’re going to be alone. That’s right. Alone. In what promises to be a terrifying experience, guests will be sent into The Black House one at a time in 30-second intervals, maintaining a good capacity each hour/night. 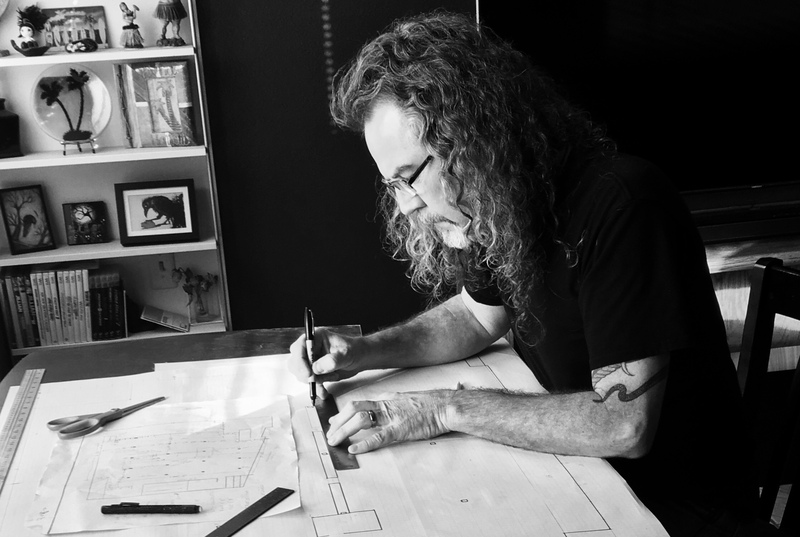 INTO THE BLACK creator Larry Bones designing the House of the Devil. We are thrilled to announce that both the INTO THE BLACK backstory film, as well as the behind-the-scenes documentary will be debuted at Midsummer Scream 2017 July 29 and 30 at the Long Beach Convention Center, with more details to come in the weeks and months ahead. Additionally, fans will be able to purchase their tickets and reserve their time slots for both the walk-through and VR portions of the haunt at IntoTheBlack.biz beginning the weekend of MSS17. TPA and Midsummer Scream welcome INTO THE BLACK to the Southern California haunt community, and cannot wait to experience this for ourselves! I’m personally very proud of Larry, Cheryl and their team – this just may be the single most-anticipated new haunt of 2017, and we are going to be right there with everyone else to check it out! Social media platforms are being prepared for INTO THE BLACK. In the interim, follow Bone Yard Effects, Inc. on Twitter, Instagram, and Facebook. This entry was posted in Haunted Attractions, Home Page, Home Page Slider, News and tagged Bone Yard Effects, Halloween, INTO THE BLACK, Larry Bones, Rick West. Bookmark the permalink.